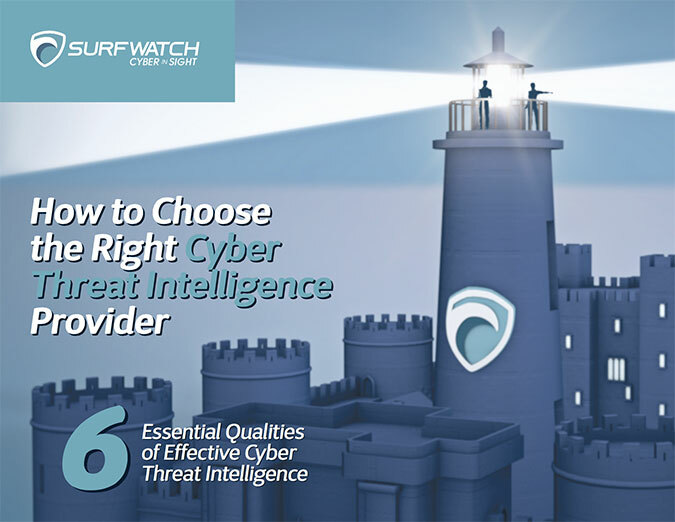 April 2016 – SurfWatch Labs, Inc. I am a practical guy. I don’t like to waste a lot of time and tend to gravitate to things that work, whether I originally thought up the idea or if someone else did. I’m of the “if it works then it works” mantra. Much of that attitude stems from joining the military and being thrust into a culture that demands outside-the-box-thinking. Assess the problem and work through scenarios, use past experience and lessons learned, use the right tool for the right job and lastly, be mission oriented. When it comes to cyber threat intelligence (CTI), the key value can be unlocked by making it practical. What are the answers to the “so what” questions? Why would anyone want to spend budget on this? CISOs and like roles have a lot of headaches. How does this help that headache? How do I make this stuff useful to decision makers? Who are the decision makers? Why would they care? The problem is the value from CTI is being misrepresented. What I’ve noticed is that there is an overwhelming drum beat towards tools — tools that will sprinkle pixie dust over your threats and make things “actionable.” But getting an avalanche of data is not the same as evaluated intelligence — and yet they get confused way too often. Information is raw and unfiltered. Intelligence is organized and distilled. Intelligence is analyzed, evaluated and interpreted by experts. Information is pulled together from as many places as physically possible (creating an unnecessary and unrealistic workload for any analyst team to organize, distill, evaluate, etc. ), and may be misleading or create lots of false positives. Intelligence is accurate, timely and relevant. The reality is that “actionable” really just means a new alert/alarm/event that you now have to whack-a-mole. In some of the presentations I’ve given I’ve talked about the “actionable, actionating, actionator.” Sounds ridiculous right? That’s the point. But this is more common than it should be. And because of this teams are getting dragged away from productive efforts and into areas that are less productive. This should not be surprising as many of the CTI vendors are tool builders, and no surprise, they push tools to solve the problem. However, here is where I will deviate, my background is that of a CISO, Program Manager, Team Builder. I am seeing a big disconnect between threats that are present in our industries and the practical application of resources — combination of people, process and technology — to reduce the likelihood of those threats from becoming a reality. You see there’s a big difference between security tools and programs. Security tools (or feeds) are bolt-on and output-driven while security programs encompass people, process and technology … and they are OUTCOME-driven. Threat intelligence should be outcome-driven vs. output driven. In my previous role as a CISO, I wanted and needed to know about threats that were specific to my organization. I needed to know what capability, opportunity and intent those threat actors had, along with a plan to ensure we were well-positioned before an event occurred (and in case we were not ready, that we had an effective plan in place as we moved from event to incident to breached). 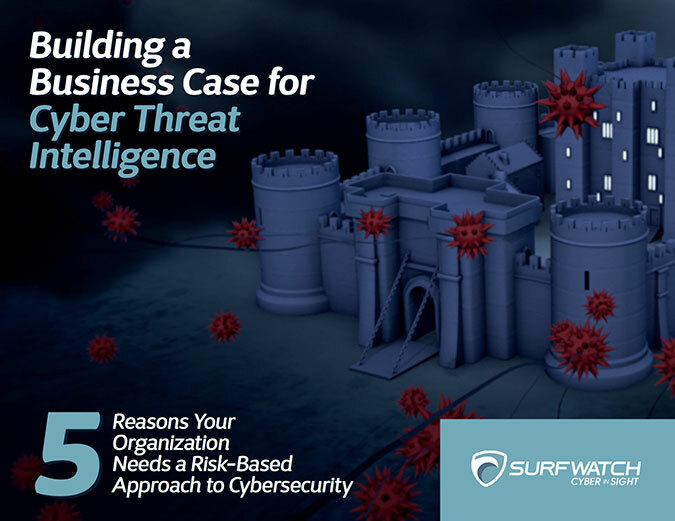 So as you look at the many “threat intelligence” options out there, ask yourself this: will this intel drive the organization to make the right decisions and take the right actions? Don’t try to bite off more than you can chew and start simple by focusing on evaluated intelligence. From there make your risks learnable by separating out random (or un-analyzed) risks from what is more likely so you can reduce your uncertainty — and then tie those learnable risks to the characteristics of your business. Malicious actors are increasingly using legitimate tools such as PowerShell in order to lessen their digital footprint and evade detection, and the use of such ubiquitous and legitimate technology can be a problem for organizations when it comes to defending against those threats. That’s according to Carbon Black senior security researcher Rico Valdez, who joined us for this week’s Cyber Chat podcast to discuss recent research on PowerShell, including a new report examining more than 1,100 security investigations in 2015. The legitimate use along with the built-in functionality makes it a perfect tool for attackers to exploit. Utilizing PowerShell fits into the overall trend of attackers avoiding dropping a lot of tools onto a system; instead, they utilize what’s already there in order to further their goals. How are criminals using PowerShell? When looking at the data from a variety of Incident Response and MSSP partners, 38% of confirmed cyber incidents used PowerShell. This included all industries and multiple attack campaigns. PowerShell is used for a variety of malicious purposes, according to Carbon Black’s report. “It’s quite powerful in that it can pretty much touch any part of the system, and if you’re running it with the right privileges it can pretty much do anything on the system,” Valdez said. For example, last month a new family of ransomware was discovered dubbed “PowerWare.” PowerWare uses the popular technique of duping users via phishing messages containing a macro-enabled Microsoft Word document. The malicious macros then use PowerShell to further the attack. Eighty-seven percent of the attacks leveraging PowerShell were commodity malware attacks such as ransomware, click fraud, fake antivirus, and others. Only 13% were described as “advanced” attacks. This technique is a good example of how attacks tend to evolve, Valdez said. First they’re discovered by sophisticated actors and used in targeted attacks. Then — if they work well — they become mainstream. Listen to the full conversation with Carbon Black’s Rico Valdez for more about PowerShell and how organizations can protect themselves. On today’s Cyber Chat we talk with Carbon Black senior security researcher Rico Valdez about the company’s recent findings and how cybercriminals are increasingly using PowerShell to remain under the radar while targeting organizations. The consumer goods sector has seen more chatter around DDoS than any other sector so far in 2016, according to data from SurfWatch Labs. The Consumer Goods Sector has seen the most DDoS-related CyberFacts this year, including attacks against Blizzard, the BBC, Ireland’s National Lottery, and many more. The consumer goods sector has become a popular target for DDoS attacks, with new groups like DD4BC emerging on the scene and attempting to extort money from victims in exchange for not launching a DDoS attack against them. Retail stores – especially online retailers – make appealing targets for cybercriminals as they are more likely to pay a ransom demand to avoid service interruption due to the amount of money that could be potentially lost during a DDoS attack. Gaming networks such as Steam, Xbox Live, and the PlayStation Network are popular targets. Last week, the infamous cyber group Lizard Squad launched a DDoS attack against Blizzard’s gaming servers, effectively taking the servers offline for a couple hours. DDoS attacks are a popular method of cyber-attack due to their ease of execution and price point. There are DDoS-for-hire services on the web that can be utilized for just $38 per hour. This price is shockingly low considering companies have reportedly lost anywhere from $5,000 to $40,000 per hour during a DDoS attack. DDoS will remain a popular trend in cybercrime. However, DDoS related CyberFacts have decreased since peaking in January 2016. DDoS attacks against high-profile targets such as the BBC and Ireland’s National Lottery led to a surge in DDoS-related chatter in January 2016. However, the number of CyberFacts related to DDoS has since dropped. Earlier this month, a humongous Layer 7 DDoS attack was spotted reaching 8.7 Gbps of bandwidth through the Nitol botnet, which set a new record for this specific type of DDoS attack. While 8.7 Gbps doesn’t seem like much of a figure compared to traditional DDoS attacks of over 100 Gbps, Layer 7 DDoS attacks are different. A DoS attack is an attempt by a criminal or hacktivist group to make a computer or network resource unavailable. This is done by interrupting a host’s services that are connected to the Internet. The most common method of DoS is a DDoS attack. DDoS attacks use botnets –- an enslaved group of computers –- to push massive amounts of communication to a targeted server to achieve its goal of service disruption. A Layer 7 DDoS attack has the same end goal as a traditional DDoS attack, except for a few small differences. It only needs to use a small amount of network packets to disrupt service as this will create massive server processing operations that will exhaust a target’s CPU and RAM resources. This means that a Layer 7 DDoS attack can be pulled off by sending only a few thousand requests per second. As recent DDoS attacks have shown, cybercriminals have a variety of different ways to disrupt services or attempt to extort money from organization. 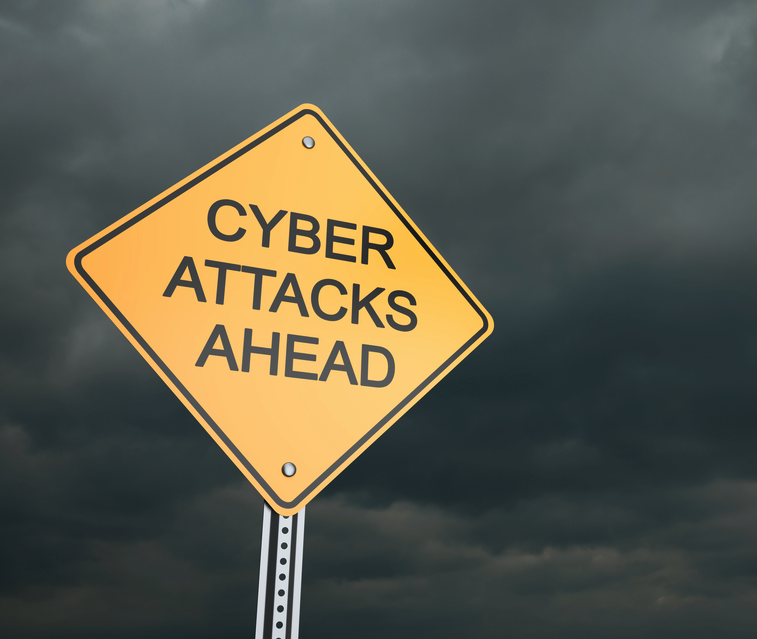 Businesses should be prepared for the possibility of these attacks and work with a reputable DDoS mitigation company if they are concerned about those risks.